Amazon is one of the biggest online shopping company of India where you can get Electronics, Clothes, Groceries and many more. To keep their customers engaged on the website, it organizes a variety of quiz contests continuously like Amazon quiz contest, Amazon quiz time, Amazon India quiz, Amazon pay quiz. You can check our website for Amazon Quiz Answers Today. Now the most popular shipping company is back with another interesting Quiz Contest. The quiz will start at 8 AM & ends at 12 PM. Participating in these contests you can win Free Amazon Pay Balance and prizes like Apple iPhone X, one plus 6t, Honor 8x, Canon DSLR cameras and many more. All you need to do is download Amazon Shopping App and answer all questions of amazon quiz today, no purchasing is necessary. Here are the questions and Amazon Quiz Answers for Today [24/04/2019]. Q 1: Anura is the scientific name for which of these animals? Q 2: Which of these cricketers was recently named as ‘Wisden’s leading Cricketer in the World’ for 2018? Q3. What is the official residence of the Pope? Q4. There have been speculations that Mt. Everest has shrunk. To address this, which country is sending an expedition to remeasure the height of Mt. Everest? Q5. The Indian men’s hockey team was without a coach since the last world cup. A new chief coach has been appointed now. Who is it? 5 Winners of today will receive a Diesel Chi Watch. 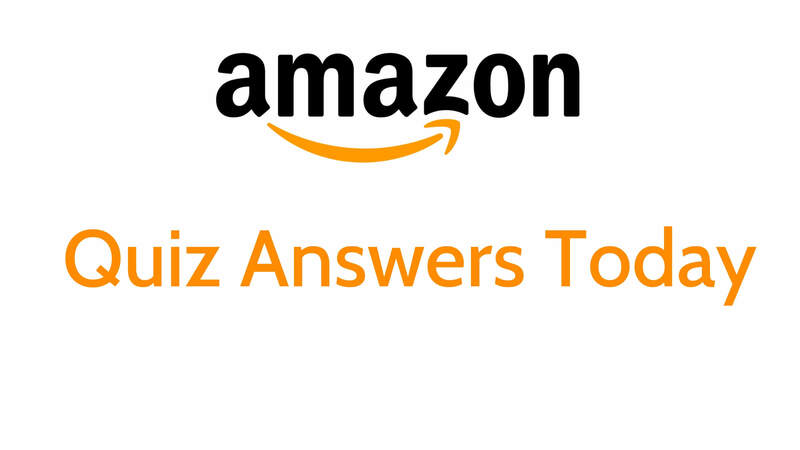 By using Amazon quiz contest today answers you can will the above-mentioned prizes easily. Step 1: Download Amazon official App from Google Play Store or Apple Store. Step 2: Install & Sign in to the Amazon App. Click here to download Amazon app. Step 3: Go to home page & scroll down, you will see “Amazon Quiz Banner”, tap on it. Step 4: Click ‘Start’ to play the quiz. Step 5: A total of 5 questions will be displayed. Answer all the Questions & get a chance to win exsiting gifts. This Contest will be available from 24 April 08:00:01 a.m. (IST) to 24 April 12:00:00 p.m. (IST). To enter the Contest, during the Contest Period you must sign-in to or sign-up an Amazon.in account. Once signed in, you can participate in the contest by navigating to the page where five questions will be posted during the entire Contest Period. If you answer all the quiz question’s correctly within a stipulated time period, then you will be entitled to a lucky draw which will be done amongst participants who have answered that particular question correctly. The draw of lots will be carried out during the Contest Period for the questions and only 1 participant will be selected and declared as a winner. Quiz winner(s) will receive a mail from Amazon and they will eligible to claim the Prize for winning exciting prizes. 2: Click on the Quiz time banner which is displayed on your homepage. 3: Click on “See winners for all contests” link. 4: You will find the resulted sorted on monthly basis. 5: Select the month for which you wanted to see the results. 7: You can check the Amazon Quiz Contest today winners on the list. Thus by participating in Amazon Quiz time contest, you can win exciting prizes. All the best!